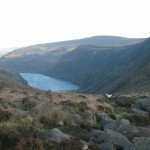 Deservedly one of the most popular walks in Wicklow. 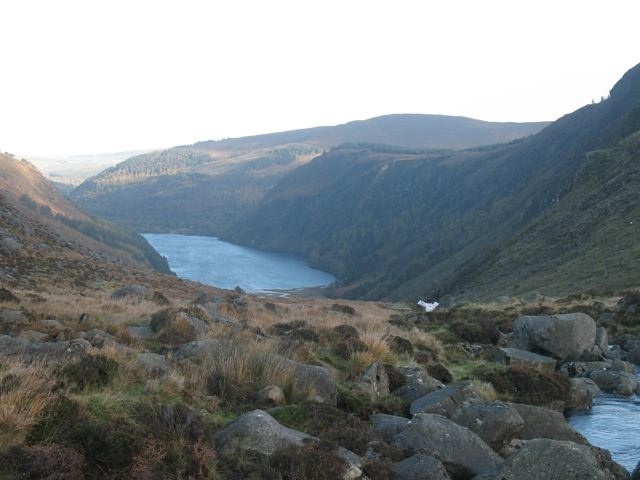 This is a high level walk along the Spinc ridge overlooking Glendalough, with panoramic views over Glendalough and the surrounding hills, returning past the Glenealo River as it cascades via a series of waterfalls into the Upper Lough. 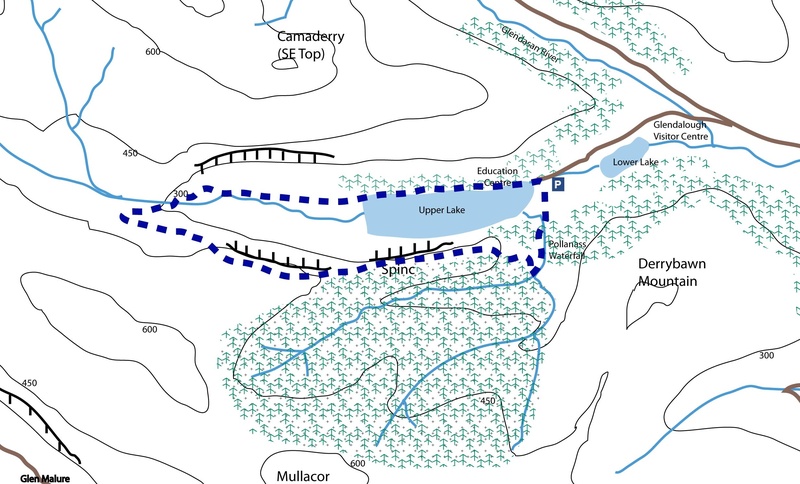 There is a well marked path for the entire walk and, apart from the fairly strenuous climb up to the Spinc ridge at the start, the walk is reasonably level and easy going. After the first bend, there is a stile on the right which is easy identified by the sign warning about the need for appropriate outdoor footwear etc. Cross the stile and head steeply uphill. This is by far the most strenuous part of the whole walk as the path quickly gains height. On reaching the top of the path, the reward is a spectacular view over Glendalough and the surrounding hills. At the west end of the Spinc, stay on the path as it descends in a zig-zag towards the Glenealo River. The path now turns east and descends down beside a series of waterfalls to an old miners village at the west end of the lough. The views down the lough are exceptional on a clear day. After the miners village, the path continues along the north side of the lough back to the car park. 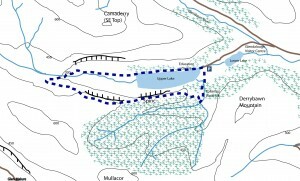 The google map for Glendalough lacks detail just now, so the map below is currently a better bet. This is an excellent walk. I did it a week ago on a crisp November morning and aside from a few slippery bits in the shade under the trees while climbing up to the ridge it was easy going. One small part of the description may need a little elaboration. The path up the side of Poullanas Waterfall joins with a wider forestry path. At this junction you need to bear left onto the forest path and then follow it around a hairpin bend to the right – if in doubt just keep going uphill. If you are tackling this in winter be prepared for the cold – much of the walk is in shade when the Sun is low in the sky, so expect low temperatures and ice pools. Good waterproof boots with good grips and windproof jackets are a must.